Ashburton Grove - Arsenal news and Arsenal opinion: "Barcelona won’t trust me. I’m coming here because you will"
"Barcelona won’t trust me. 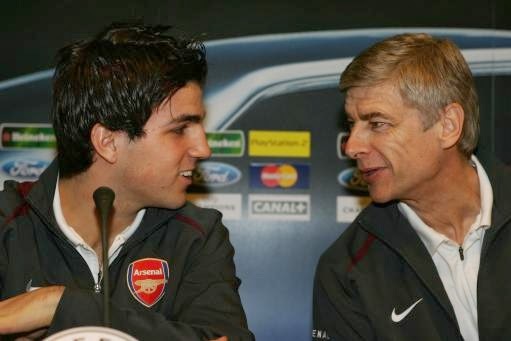 I’m coming here because you will"
Arsene Wenger has revealed the moment Cesc Fabregas pledged his allegiance to Arsenal. Fabregas joined the Gunners as a 16-year-old from Barcelona in 2003 after Wenger and chief scout Steve Rowley convinced him to come to England. But after 303 appearances over eight season, which saw him score 57 goals, Fabregas returned to his boyhood club Barcelona. For the first time Wenger told why Fabregas made the move to England.